For the critics who are still wondering whether bitcoin will attain mass adoption, France is their place to look. A vote by France’s National Assembly allowed the French insurance companies to soon include cryptos in life insurance contracts. A majority of the deputies overhauled the Insurance Code using the Pact Act. Article 21 swung the door open for life insurance contracts to now invest in specialized professional funds (SPFs). The investment parameters have allegedly been ‘relaxed’ due to yet another provision. The SPFs have the freedom to invest in blockchain-backed assets according to Article 26. According to Simmons & Simmons Attorney Emilien Bernard-Alzias, the two provisions allow SPFs to invest in cryptos like Bitcoin. He was speaking to Les Echos. Furthermore, since there is no cap amount on the amount of crypto a life insurance policy can hold, French citizens can enhance the value of their policies in the current bitcoin bull market. The BTC integration into France’s life insurance market took more than a year. Policymakers and entrepreneurs worked jointly for over a year to make the rule change happen. Eventually, investing in crypto is a by-product of the updated code and not just the intention. However, other jurisdictions may follow suit as France enjoys the first-mover advantage. According to Assembly member Joel Giraud, the cryptos were not the primary targets of the Pact. But, insurers can offer products based on crypto assets through specialized funds. The members in the French Assembly adopted the new measure recently with147 votes for, 50 votes against, and 8 abstentions. However, this simple majority won from just 33% of the total 577 seats in the Assembly. The supporters, including Economy Minister Bruno Le Maire, were pleased with the results. 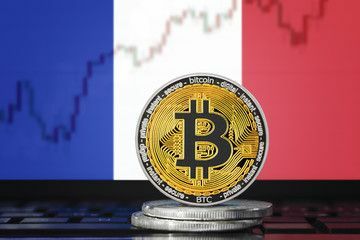 The inclusion of digital assets in the Pact Act has created fuzz in the French market. The French life insurance market features EUR 2.2 trillion in assets. The residents tend to rely on these attractive products for their retirement savings and investments on account of tax benefits. Additionally, insurance policies reflect 40% of the financial assets among French households. That figure surpasses that of cash, securities, and many other savings products. The French investors have also turned to insurance products for savings. The investors prefer these products since in recent years returns have surged past those of all the other savings products. Now that bitcoin has come in, the French are yet to see anything.